Billy Mitchell takes video games very seriously. He’s been called one of the greatest arcade gamers ever, and there’s even a documentary about his insane high score in Donkey Kong called The King of Kong: A Fistful of Quarters. 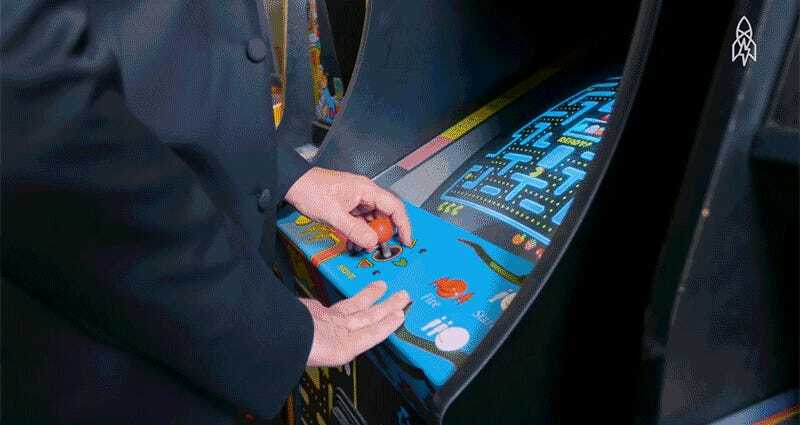 Even with his own full-length documentary film, Mitchell is still best-known for one thing: He was the first person to get a perfect score (3,333,360 points) in Pac-Man. Mitchell set the record in 1999, almost two decades after the game was originally released. In the video, Mitchell explains how, at level 256, there’s only enough memory in the game for the left-half of the board. The right-half of the game is filled with computer garble that looks something like the Matrix code.